Italy’s Court of Cassation has confirmed a two-year ban from public office imposed on Silvio Berlusconi after he was found guilty of tax fraud. The ban means former PM Berlusconi will be unable to stand in elections for the European Parliament in May. After last year’s verdict, he was also stripped of his senate seat and sentenced to four years’ imprisonment. The jail term is likely to be commuted to one year’s community service. Silvio Berlusconi’s lawyer, Niccolo Ghedini, said he was “extremely disappointed” by Tuesday’s ruling of Italy’s Court of Cassation. Mariastella Gelmini, a senior member of Berlusconi’s Forza Italia party, said the ruling was “abnormal and unjust”. “There is an ideological prejudice against Berlusconi that annuls the rights of the defense,” said the former education minister. Silvio Berlusconi, 77, has faced a string of court cases but the sentence for tax fraud, upheld last August, was the first definitive conviction. He was convicted over deals his firm Mediaset made to purchase TV rights to US films. The subsequent two-year ban on holding public office was imposed by a Milan court in October. 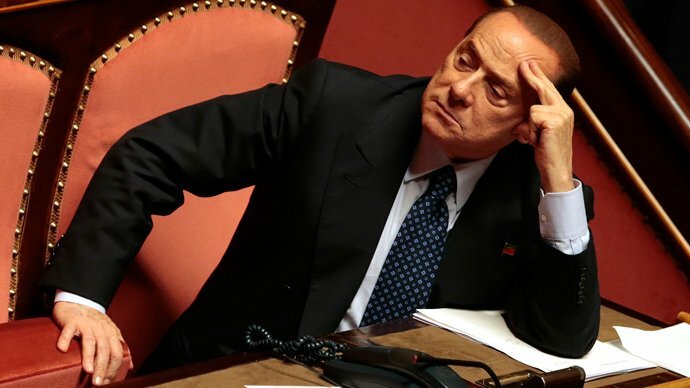 Correspondents say that, despite his court convictions and continuing legal battles, Silvio Berlusconi still remains an influential force in Italian politics.